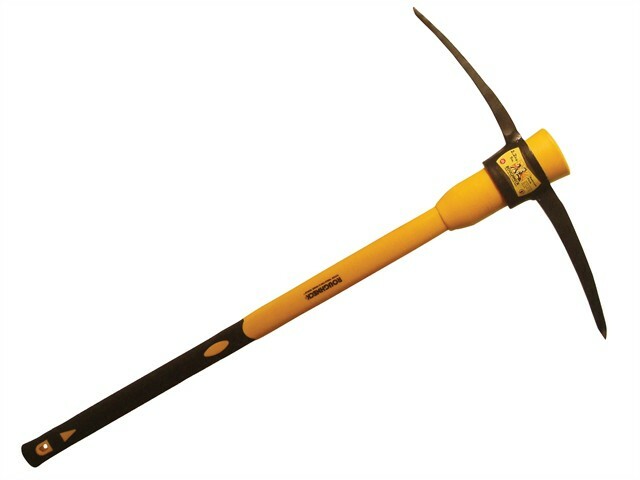 The Roughneck Railroad Pick Axe has a head made from roll forged alloy steel. That has hardened and tempered with a black painted finish. The ends are chisel and point. The fibreglass handle has a solid core and polypropylene cover. Supplied in a handy carry box.